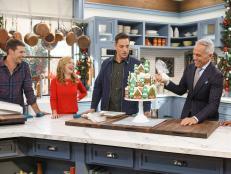 Host Katie Lee's Gingerbread House Cupcake is displayed as seen on The Kitchen, Season 15. 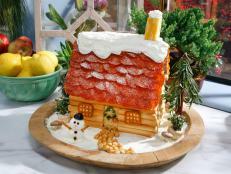 To make this delicious house on the hill, use a special all-in-one cookie cutter to make the mini houses. Some of the cutters even come with a gingerbread cookie recipe right on the packaging. Roll out the dough according to the recipe instructions and use the 3D mini gingerbread house cutter to stamp out the cookie shapes. 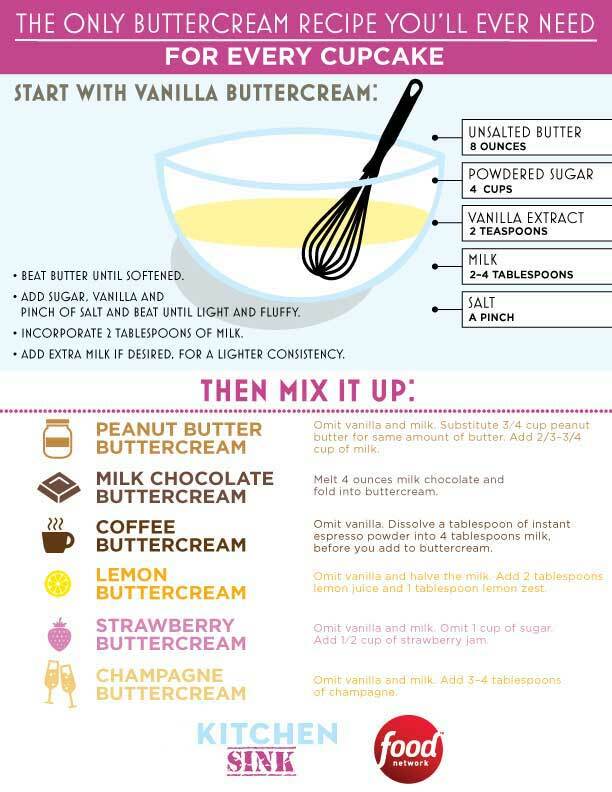 Bake according to the recipe instructions. 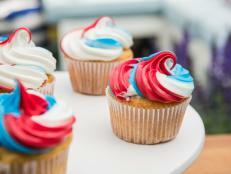 For the cupcakes, it's easy: they can be store-bought or homemade. Just make sure they are frosted with delicious white icing. 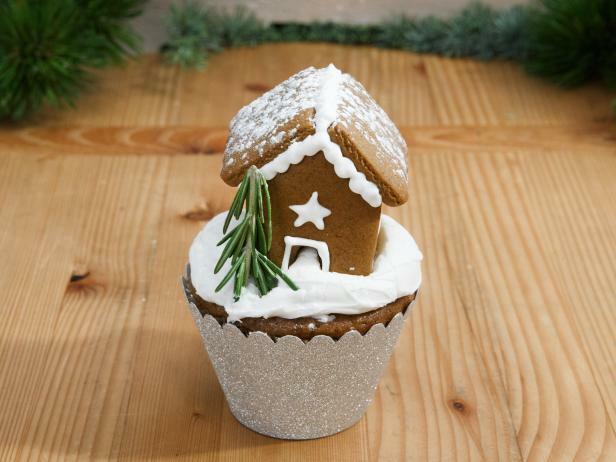 Assemble the cookie houses using royal icing and once dry, set one finished house on top of each cupcake. 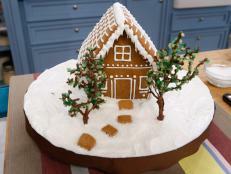 Next, snip a few small sprigs of rosemary and place one tiny stem upside-down next to each gingerbread house. 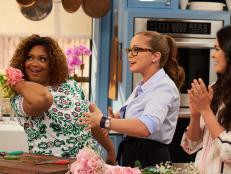 Rosemary makes a perfect food-safe pine tree. Now it's time to let it snow. 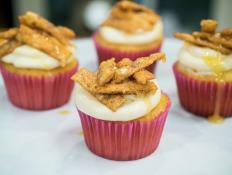 Dust each cupcake with confectioners' sugar using a shaker. If you're thinking of what to make your dad this year for his big day, look no further. 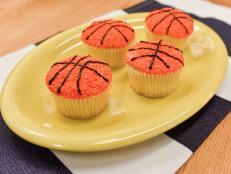 This treat is the perfect gift for the sports lover with a bit of a sweet tooth: an amazing basketball cupcake. 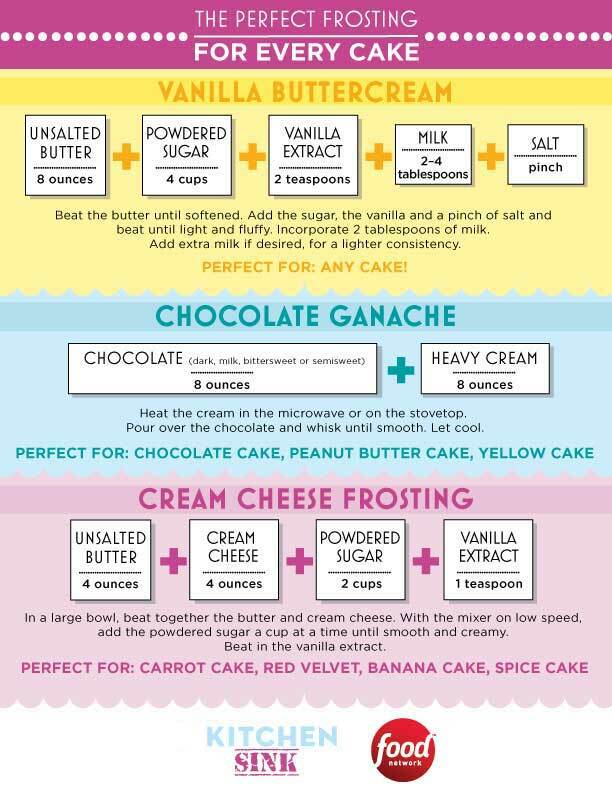 You've seen how to take your cupcakes up a notch by decorating them, but have you thought about taking the insides to the next level? 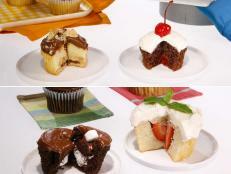 Try out these stuffing ideas to enjoy cupcakes that are delicious from the inside out.